Now we’re in a different age. As my boss likes to point out, the appification of everything is happening and education is no different. As we roll into the 2017-18 school year, teachers are sending students and their parents information about how to use smartphone apps to engage in school work and stay on top of the curriculum. 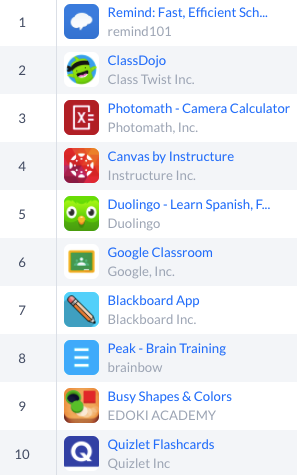 Four of the most popular of these educational apps are Quizlet, ClassDojo, Google Classroom and Remind. 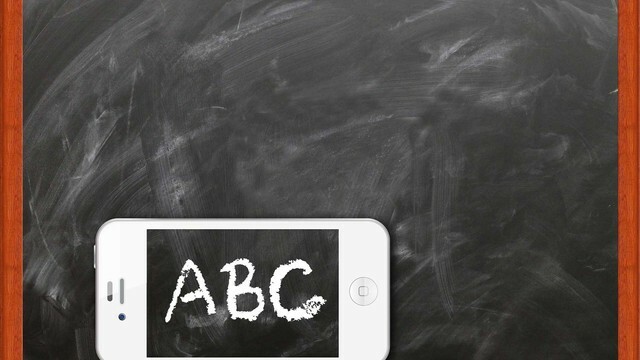 With the exception of Remind, each of these apps is meant to be actually used in the classroom. So in a twist, teachers are now telling their students to take their phones out and keep them out. Weird. It’s not often we talk about the Education apps, so I want to give you some information on the category first. In the App Store, there are 163,780 apps in the category. 70.8% of them are free and the rest are paid. In Google Play, there are 309,707 apps in the category. 88.3% of them are free and the rest are paid. Below are a couple of interesting graphs depicting the competitiveness of the category in either store. The less the top 10 apps in a category dominate downloads, the more competitive the category is. Leading up to this school year, Remind has hit the highest rank in either store (#1 overall in the App Store five times in August), but Quizlet reigned supreme last school year with an average of 1.3 million monthly active users. User acquisition is a little different with these apps due to their use cases. Your job is to get a teacher or entire school or school system to buy in and they in turn get students and parents to download and use. The above information is limited in terms of Apptopia's full capacity of data on these apps and their respective category. Please do not hesitate to reach out to me or anyone on my team to learn more about the apps mentioned above and their competitors in the Education categories. Feel free to schedule a demo as well.